Are you looking for a fast, effective, non-abrasive cleaning method? If so, consider dry ice cleaning. Dry ice cleaning uses dry ice pellets and compressed air to clean a variety of surfaces including food processing equipment, fire damage, and industrial equipment. It can successfully clean paint, food, mold, rubber, dirt, grease, oil, ink, glue and many other contaminates. 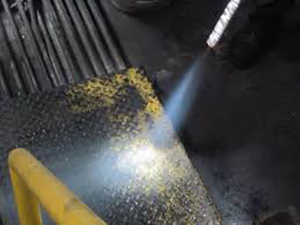 Because it is a non-abrasive cleaning method, dry ice blasting is recommended by the EPA as an alternate to traditional solvent-based cleaning methods. If you could benefit from our dry ice cleaning services, please contact us today at (717) 442-0979. Our crews always take the proper precautions when cleaning your surfaces. Safety and customer satisfaction are always our highest concerns. There are a lot of questions regarding dry ice cleaning, so we have put together a list of commonly asked questions and their answers to help you understand the process a little more. What is dry ice cleaning/blasting? It is a process similar to sandblasting. A substance (dry ice in this case) is quickly moved within a pressurized air stream and its impact is used to clean a surface. The temperature of dry ice is -109 degrees. When the extremely cold dry ice and treated surface meet, thermal shock happens. This breaks down the connection of the debris and the surface we are cleaning. Why dry ice instead of more traditional methods? Dry ice evaporates upon impact with the surface leaving no additional debris to clean up. 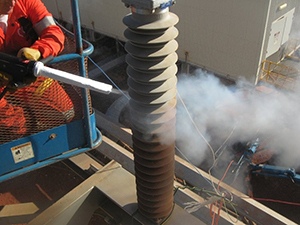 More traditional blasting methods end up leaving an additional waste to be removed. Will it damage my structure? 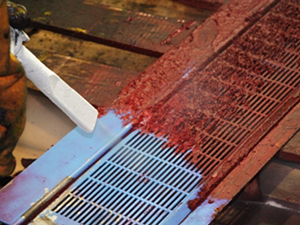 The dry ice cleaning/blasting process will not cause any damage to your substrate since it is a non-abrasive process. Yes, it is perfectly safe to use outdoors. Is it safe to use indoors? Yes, as long as there is proper ventilation in the area. The temperature of the dry can be a concern. Gloves, safety glasses and ear protection should always be worn as with any blasting process. 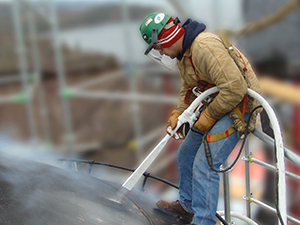 It is highly recommended to have a professional contractor familiar with dry ice blasting perform your cleaning. We are happy to answer any additional questions you may have about dry ice cleaning. Please don’t hesitate to contact our office at (717) 442-0979. We will gladly answer your questions and discuss the ways your commercial or industrial building could benefit from the dry ice cleaning process.